I’m always happy when strawberry season arrives! 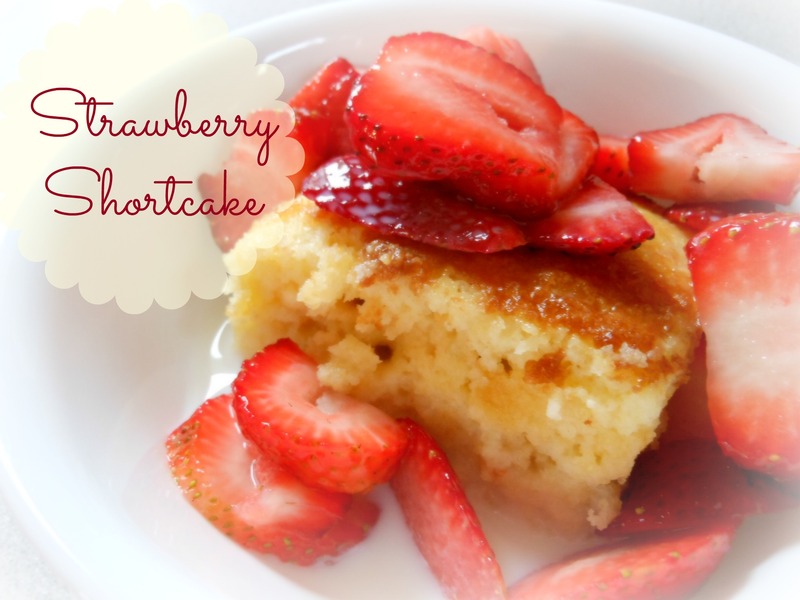 Our all time favorite way to eat strawberries is with shortcake. And not just any shortcake. We love this hot milk sponge cake recipe because it is incredibly soft and just the right amount of sweet. It’s best while it’s still warm, and it tastes just as good re-heated. Beat until light and thick. Heat together just to boiling point. Then slowly blend into mixture. Sift together and blend in. Pour into greased 9 x 13 pan. Bake at 350* for 30-35 minutes. This recipe was adapted and taken from my well-used copy of Mennonite Country-Style Recipes. I am definitely going to have to try this!! Looks amazing! And Picmonkey is the best!! Thanks for sharing, This sounds fabulous!! I love strawberry shortcake too! Mmm! Yes, definitely the season for strawberry shortcake! I like the sound of your version. I’m a sucker for anything with strawberries. Looks yummy! Thanks! I finally took the time to check out picmonkey. So excited!